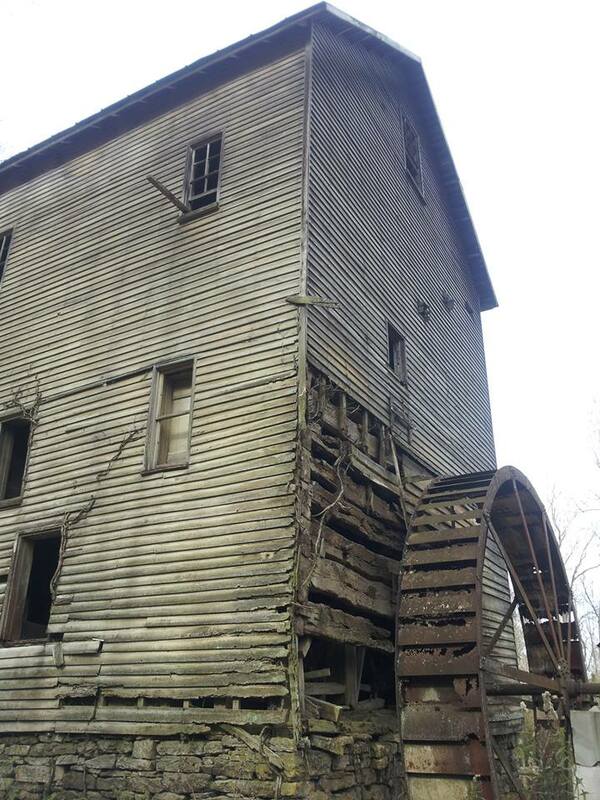 I have attached photos of Jessee’s Mill in Winter 2015. 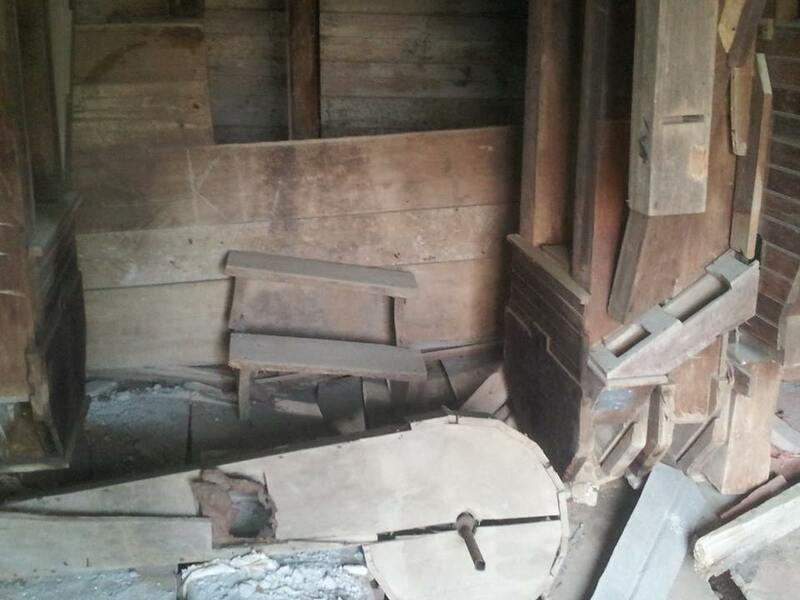 The photos show the original milling equipment, still inside the Mill. 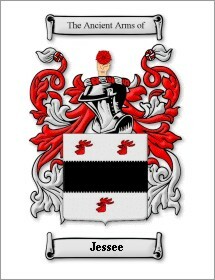 The “preservation” of Jessee’s Mill remains a major concern for the JHF (Jessee Historical Foundation) and all Jessees in America. As an Historic Russell County Landmark, you would hope that Russell County leaders would share interest, especially since the owner is willing to cooperate with any public or private entity to preserve it and restore it someday. To our friends in Russell County and beyond, we need your help. Here is a summary of what we know about the Mill from the many who have already contributed. The water-powered Jessee’s Mill is located 2.5 miles north of Route 71 on Route 645, Jessee’s Mill Road. It is believed the dam and first mill were built before 1791 by Aaron Van Hook on Carr’s Creek, now Mill Creek. It is mentioned in a survey of this land dated, 13 June 1791. It was sold in 1792 to William Gilmore. The mortar-free stone dam, based on a Peruzzi design (Italy), strengthens with stronger water current. Handmade wooden gears for the mill wheel, believed to be an Oliver Evans design, were installed about 1814. 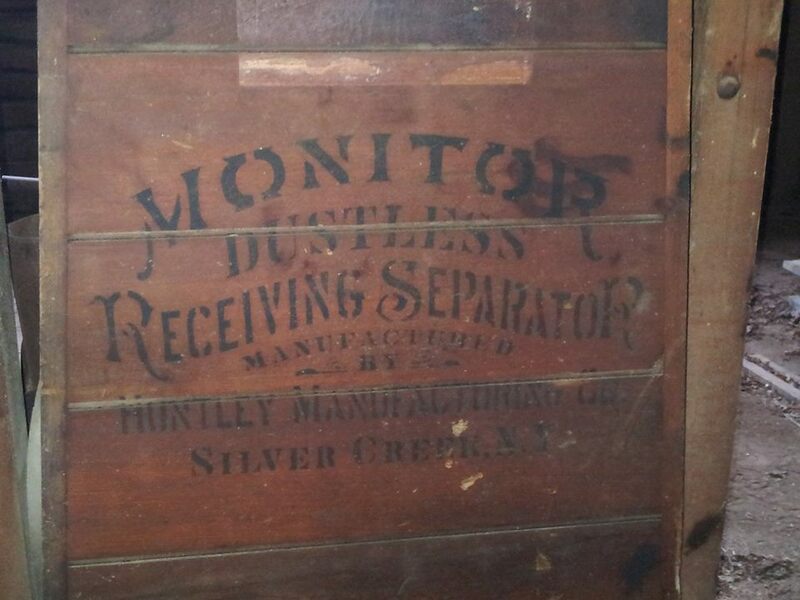 In 1890, the mill was enlarged to a three-story building with automated roller process machinery from Salem Machine Works (Virginia). Mill operations ended in 1932. In 1794 William Gilmore sold the land and mill to John Jessee, a Revolutionary War musician and soldier. The mill was improved by John Jessee and later owned by his son Archer Jessee. John and his wife Frankey Lea Jesseeraised a family of fifteen (15) children and are buried on this land at West longitude 82º 09’23”, North latitude 36º 55’ 04.” The current mill was constructed by Andrew Jackson Jessee, John’s grandson, whose 1878 brick home is located just across Mill Creek. Mill Creek once was a thriving community with a school, church, general store, and blacksmith, centered on the Jessee mill and businesses. During spring 2003, Joe Jessee and Sherman Wallace submitted a preliminary application to the VA Dept. of Historical Resources for State historical status (later approved). On June 16, 2003, Joe and Sherman toured the Jessee Mill with Mike Pulice, the Architectural Historian, Roanoke Regional Preservation Office, Virginia Department of Historic Resources. Mike Pulice believed the Mill to be fully eligible for both State and National Historical Register status, and commented on its remarkable integrity. He also advised Sherman Wallace on appropriate preservation measures, some of which are needed immediately.